An Ichlogan, servant to the Turkish Sultan. Ottoman Empire. Home » An Ichlogan, servant to the Turkish Sultan. Ottoman Empire. An Ichlogan. 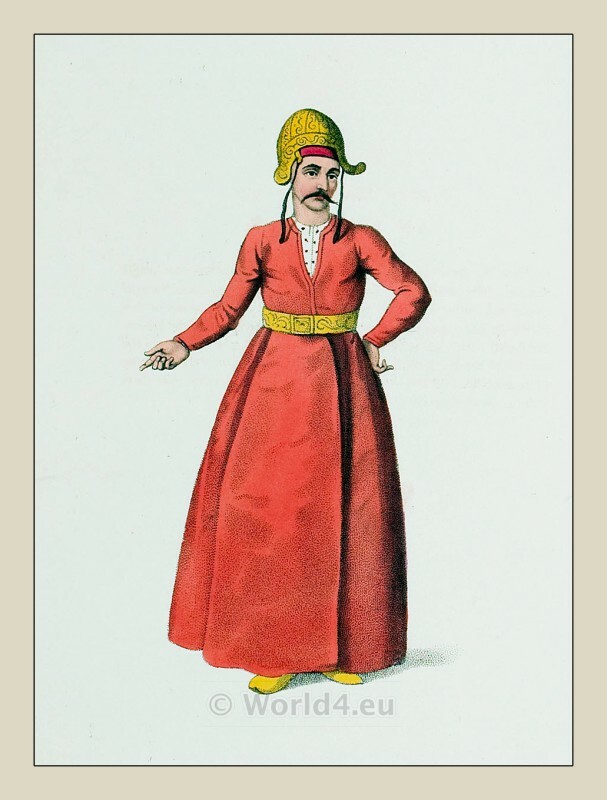 Içoğlan, servant to the Turkish Sultan. In Plate X. there was given the portrait of a Page of the Grand Signior (Sultan). The present plate represents one of the Ichlogans, a body of young men, from whom the pages are selected. The nature of this institution has already been explained in the description of the before mentioned plate. A great number of them are also brought up in the interior of the Seraglio, besides those in the suburb of Pera; and the white eunuchs, to whose care they are entrusted, frequently treat them with the greatest severity.